In the run-up to I/O (starting all the way back in March), we posted a relatively large number of leaks and rumors based on information that was provided to us about some of Google's plans. It's easy to lose track of all the rumors, and just how accurate they turned out (or didn't turn out) to be, so we thought it would be helpful to do a quick recap of the pre-I/O rumors now that the dust has settled. As always, we want to remain accountable for our content, and looking at what our information indicated about Google's plans vs what Google has actually done so far will be a fun exercise. To clarify, we'll only be covering the rumors we posted from March until today, which we posted based on our own information (outside rumors need not apply). Not all of our rumors posted before I/O have come true yet. After all, Android's L release still isn't actually finished, and some of the rumors were more long-term than others. That said, let's take a look at what's already come true, any discrepancies, and what we still expect to come in the future. 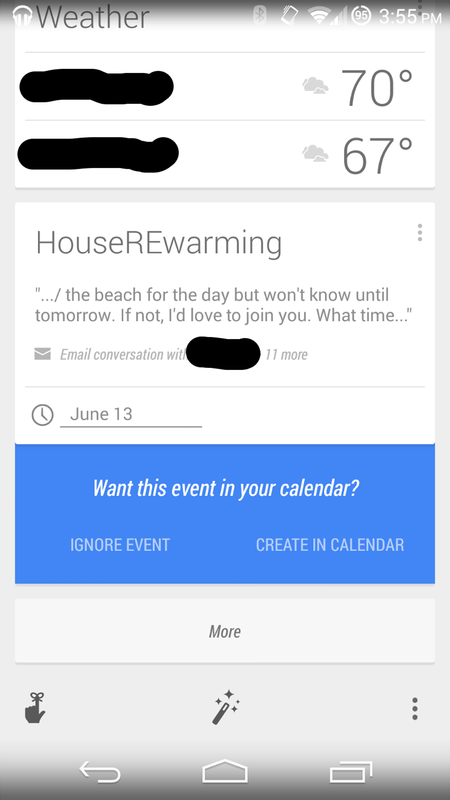 First up is contact-based reminders. This is a feature slated for Google Now, whereby users would be able to received reminders based on who they are near. 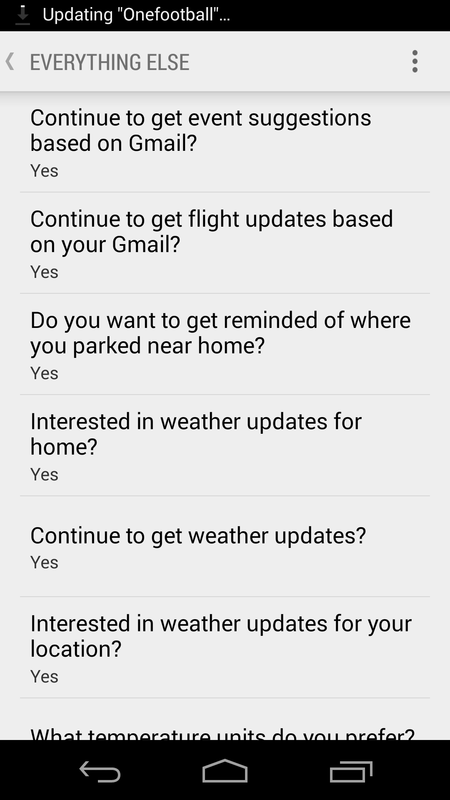 So for example, a user could say "Ok Google, remind me to pay Jake back when I'm with him." Google would interpret that as a reminder, but instead of "when" or "where," Google would use a third category - "who" to determine when to remind you, serving up the notification the next time you're near Jake. The service would rely on a more advanced location service like Nearby, which we'll discuss soon. Google hasn't made any moves toward revealing this functionality for Google Now, but as we'll see in a moment, they have hinted at Nearby, though it isn't quite ready yet either. 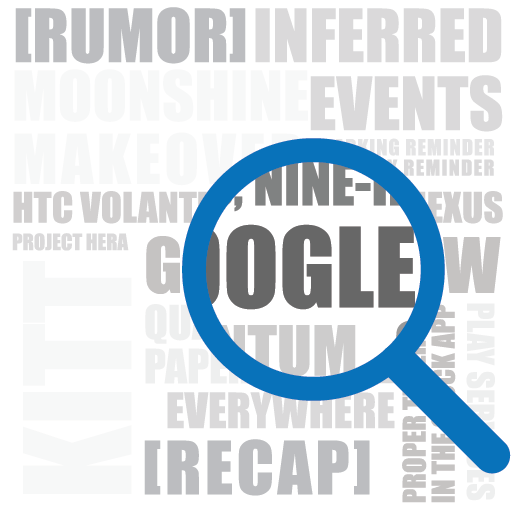 Inferred events is another rumor for Google Now. For this one, we actually had at least scant evidence from code to suggest our information was correct. 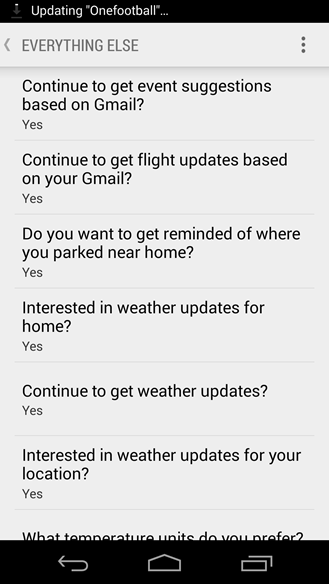 Essentially, Google Now has gained the ability to infer events from your Gmail account and helpfully ask if they should be added to your calendar. We speculated in our original coverage (linked above) that the functionality may expand to Hangouts or other services. That expansion hasn't materialized yet, but the feature itself is alive and well. 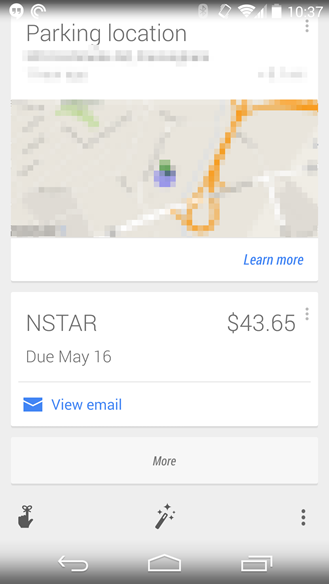 Google Now, besides the functionality we've already discussed, has also gained the ability to remind users of upcoming bills, giving them a helpful card that shows the account and amount due, with the option to keep receiving the reminders. We originally posted about this functionality back in March, and it began rolling out officially in May. 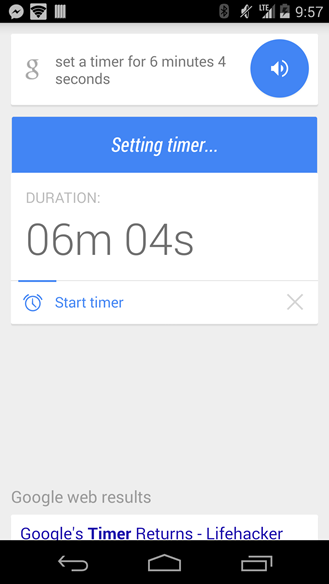 One issue that has plagued Google Now for a long time is the inability to properly handle timer queries. Previously, Now would accept a "Set a timer" query and set an alarm for the specified time, despite the Clock app's ability to run a timer. As of this May, however, Google Now will finally hand off to the Clock app with an actual timer, not an alarm. Project Hera was a complicated topic when we first covered it. From the information we had, it appeared that Google would be merging Search and Chrome on Android to not only make accessing information easier, but to re-work how web tasks are handled on your device. Admittedly, we may have made the subject more complicated than it actually was, and in the process we caused some significant confusion. 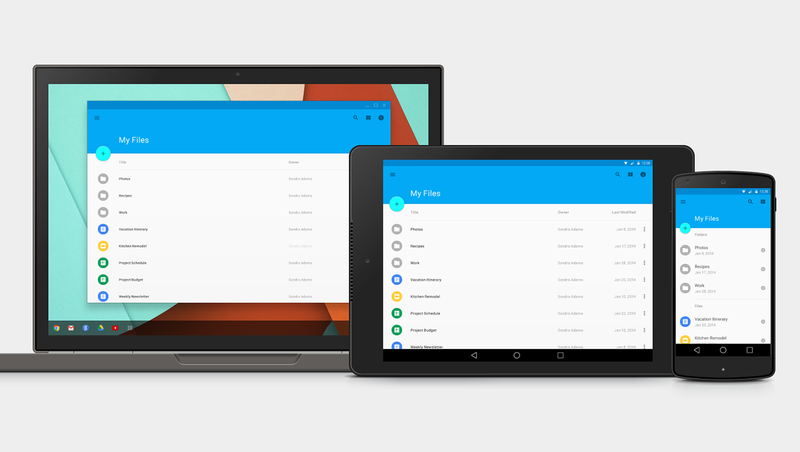 That said, though, Hera is at least confirmed for Android L.
Hera, for now, doesn't seem to be as powerful as we first estimated - from what we saw on stage at Google I/O, it isn't ready to handle tasks on your device all by itself, but it does make an important move on tasks - Chrome tabs will eventually become recents entries, as will documents and other fine-grained instances from other apps. 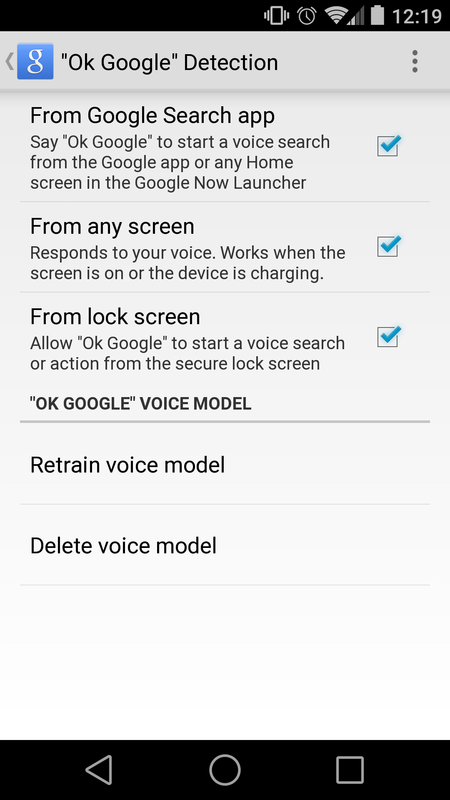 This may make the recents menu a little more crowded, but it's actually a significant move toward redefining Android's multitasking experience. Google Now's parking reminder card was another rumor for which we had code-based evidence to back up our own information. Basically, Google Now was slated to get a new kind of card that would automatically detect when you stop driving, and then remember where you stopped, making it easy to find your vehicle again later. Despite the fact that Google Now sometimes makes mistakes with the card (lots of people had their airplanes parked at SFO during Google I/O), the functionality is live. We originally broke the Android Silver story in April, with some evidence that Google was planning a major move toward pushing premium hardware with a more Googley experience from several manufacturers. According to our information, Google is planning to select top devices from each manufacturer with little or no OEM customization to sell at carrier stores with specially trained staff. Additionally, it was expected that Google would make it as easy as possible for customers to switch to Android, with additional features like "Never lost" and "Hangout Assistant" under consideration. Though other sources have corroborated the existence of Android Silver plans, many other rumors have spun off from it (including the much-debated death of the Nexus line). As mentioned earlier, this post won't cover rumors outside our own information, but even so, this entry will be considered "pending." 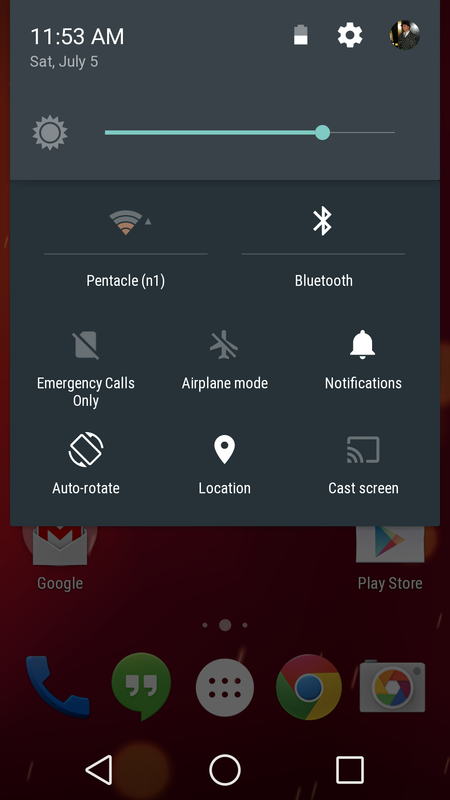 This entry actually refers to a pair of posts, published in March and April respectively, in which we took a look at upcoming changes for Android 4.4.3 and its possible release timeframe. In the first post linked above, we enumerated some of the fixes that users would enjoy with the new update, and in the second we divulged that the new Android build was already in the "dogfooding" stage, being internally tested for impending release. As we now know, our coverage of both topics was accurate, and 4.4.3 did fix many of the more egregious bugs faced by users in KitKat's previous iterations. One of the rumors that seemed a little more far-fetched at the time was one regarding Google's Android app icons. Until now, the icons have been slightly dimensional, with slight downward perspective, and plenty of soft shadows. Based on information provided to us, we posited that the icons were headed for a major makeover, bringing them closer to the icons representing their web product counterparts (internally called moonshine). The transformation would shift the icons to a flatter design, relying on geometric shapes and hard, straight shadows just like Google's web assets. During Google I/O, we saw a few of the new icons on stage. The apps they belong to will have to be updated to reflect the change, but already the L preview's settings app has received a moonshine-ified launcher icon. The icons shown on stage weren't all exactly like the ones we saw previously (note the Play Store bag), but as we noted in our original coverage, icons are one of the easiest things to change, and as we all know, anything can change with unreleased software or designs. What is the same is a generally flat aesthetic, with careful, sparing shadows. Although Google hasn't yet published anything about launcher icon guidelines in its massive material design spec, we now understand that the icon makeover is probably part of material design, and that guidelines will probably be published once the respective Google apps have received their own updates. This is another multi-faceted rumor. 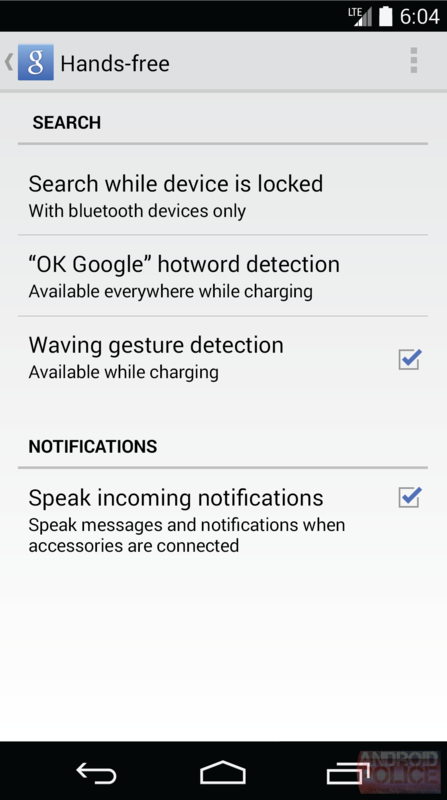 The meat of the rumor was that Google would be bringing its hotword phrase "Ok Google" to all of Android, allowing users to trigger search actions from anywhere. 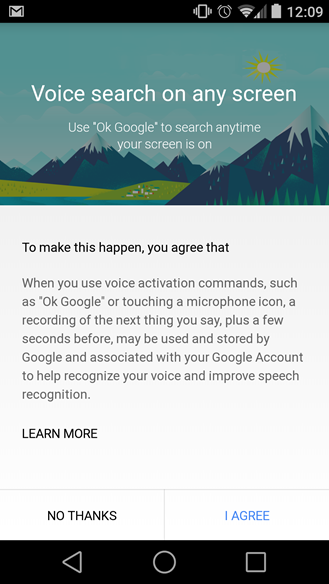 Besides that, apps were expected to eventually get their own specific actions, with a set of "modular actions" that could be used in different configurations to quickly deploy new voice actions. In this rumor, we also showed what looked like a revamped navigation bar with a new back button, new recents button, and a Google button in the center, thought to trigger the same functionality. This particular aspect of the rumor hasn't materialized, but we'll discuss it further in a moment. 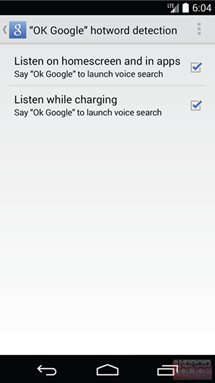 The "Ok Google" functionality has already surfaced, allowing users to search from anywhere, but currently, the functionality triggers the same search interface we're all used to, rather than the sort of semi-multitasking view we saw in the original information. It's unclear right now whether this will change in the future, but for now we can chalk it up to pre-release designs not matching up with actual implementation. As for modular actions? As pointed out by Ian Lake on Google+, there is evidence that this is still in the works - essentially, the L preview contains bits referring to a voice intent that apps can use to send and received commands and confirmations, with a list of available commands to be forthcoming. Google providing a list of commands and a relatively easy way for apps to participate in voice interaction sounds basically like what we've expected from what we called "modular actions" at the time. This is an interesting one. 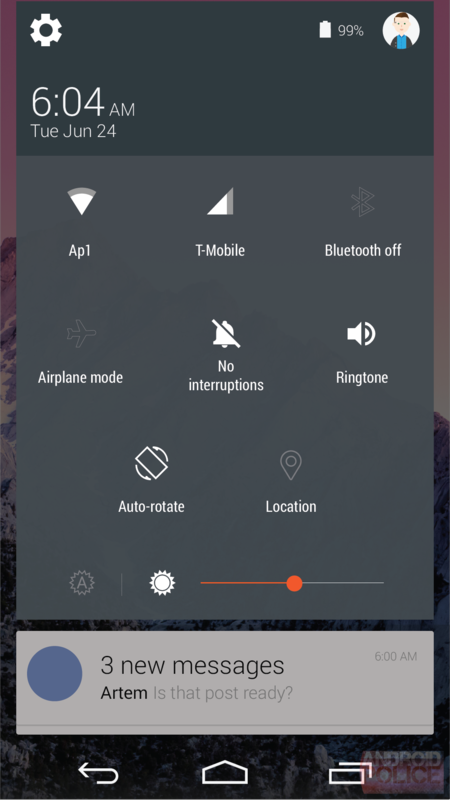 From the information we received, we believe Google is exploring an overhauled home screen/launcher for Android, where pretty much everything is different - the notification shade, the navigation buttons, and even the home screen layout itself. 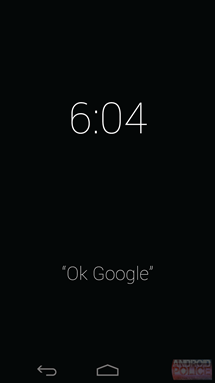 From the information available to us, it looked like Google would be providing the option to turn off home screen widgets (and deal with just an app grid on the home screen), and might place Google Now below the actual home screen, with the notification shade styled similar to Now. Essentially none of the changes we saw in that post have come to fruition publically. That said, we're still confident that this was and is being worked on in some capacity. 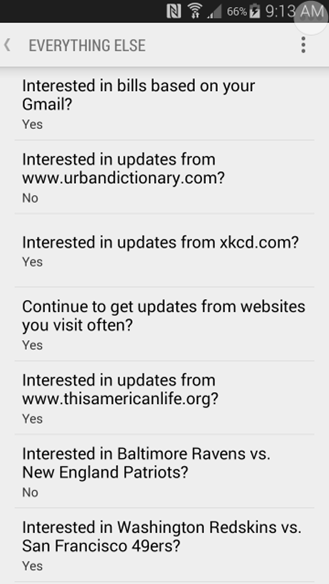 After all, the change log for Android 4.4.3 already included some code that could reference the app-grid exploration. Knowing that, there are two possibilities here. The first (and most optimistic) is that this revamped home screen was an exploration for Google's own Android experience. Many have speculated that Google, after the launch of Android Silver (whenever that might be), wants to differentiate its own experience on top of Android like others do. Instead of using a phone that's all about the Samsung experience with Samsung's apps running on TouchWiz, users could use a phone that's all about the Google experience (arguably stock Android is already there), with Google's own special implementations in place. The other possibility is that the home screen overhaul was simply one (notably advanced) experiment leading up to whatever launcher we'll end up seeing with the final release of Android L. This is a definite possibility, but given the nature of the information we were given, it seems less likely that Google would simply scrap the whole thing. Announced at CES this year, no one really knew quite what to expect from the Open Automotive Alliance. It was easy to guess that the newly forged partnerships between Google, NVIDIA, and various car manufacturers would see some sort of Googley interface taking over cars, but our post on Android in the car (at the time internally called GearHead) was the first look at what the interface might do, and what it might look like. At Google I/O this year, Android's car aspirations were confirmed under the name Android Auto. The interface has received significant polish since we first looked at it in May, but the basic principles are still very much the same. From Google's explanation, it's clear the basic tenets have survived since our leak - Android Auto will focus on four distinct spaces - navigation, telephony, media, and the car itself. 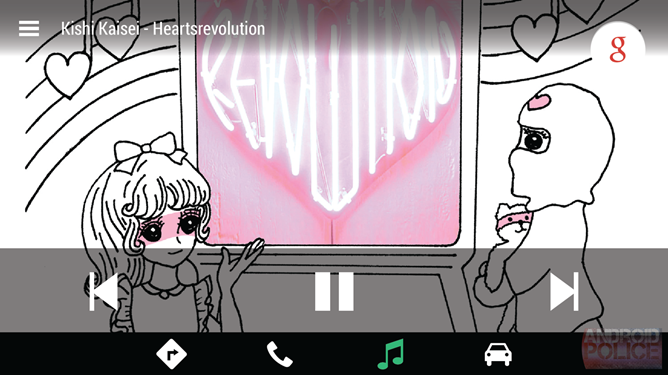 These spaces are still well-represented in Android Auto. Additionally, the interface is still considerably stripped down. For instance, when sending a message, the user's input does not appear on screen. The interface will read your message back and then ask if you'd like to send it, so you won't look at the screen to confirm. The way Auto's interface has been designed is brilliant, and with plenty of partnerships already established for audio apps and actual car OEMs, the future looks bright. KITT is the internal name for a set of functionality meant to allow users to use their Android devices while driving without looking at or even touching their device. From the information we've seen, it's kind of like a light version of Android Auto, meant for use at times when users shouldn't be concentrating on their phones (like when they're driving), but focusing not just on safe, minimal on-road operation but on always-on listening as well. In our original coverage, we showed mockups of screens describing some of the functionality KITT would provide, along with its minimal on-road interface. In reality, some of this functionality is already live. 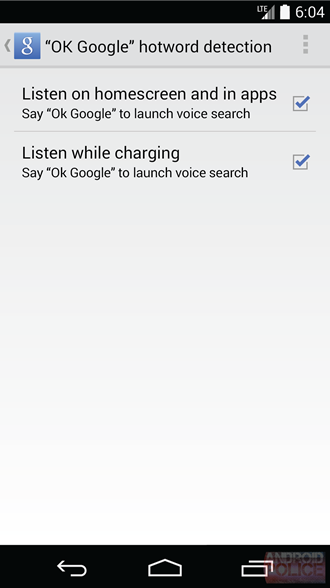 In the post, we described "always on listening" with the caveat that the phone is charging, which is a feature that recently emerged with Search's "Ok Google Everywhere" functionality. What isn't live is the hand-waving gesture suggested by our information, audio notifications, or the barebones on-road interface. When or whether this will surface is of course unknowable, but based on our information, we remain confident that Google is working on this interface. And assuming it does come to light, it will be great for those who want the benefits of easy Android use in the car without actually buying another device (like a new car). 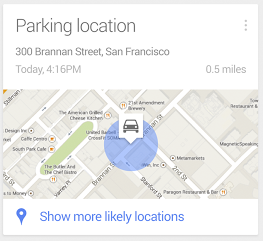 Nearby is one of the larger-scale moves we're expecting from Google. 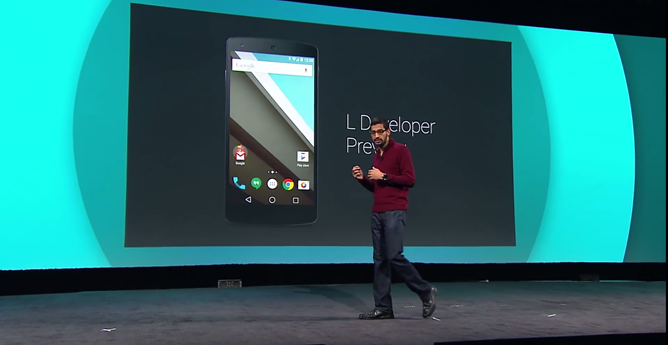 We are very confident that Google is actively working on this, but with the L preview, it is not exposed to users yet. 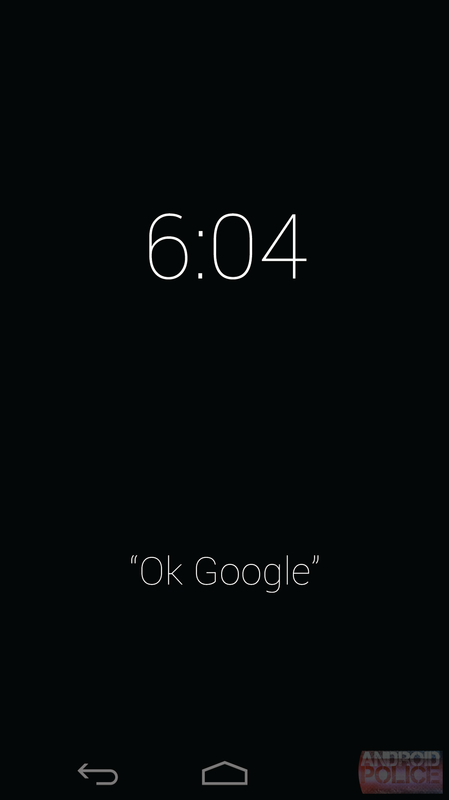 That said, plenty of hints were made toward it during Google's I/O keynote. 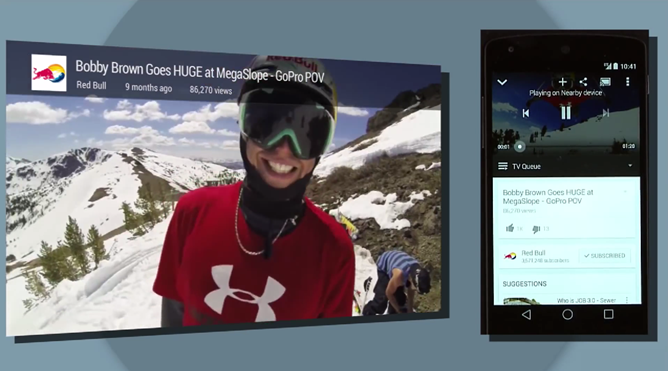 During the keynote, a new Chromecast feature was shown off, by which users could cast to a device without being connected to the same WiFi network. During the demo, the phone said it was "Playing on Nearby device" (Nearby was capitalized). Alone, that observation could be total speculation that this was a nudge toward highly specialized location-aware interaction, but it was also confirmed that Google planned to use ultrasonic sounds to authenticate and pair devices to the Chromecast, just one of the features we covered in our original coverage of Nearby. 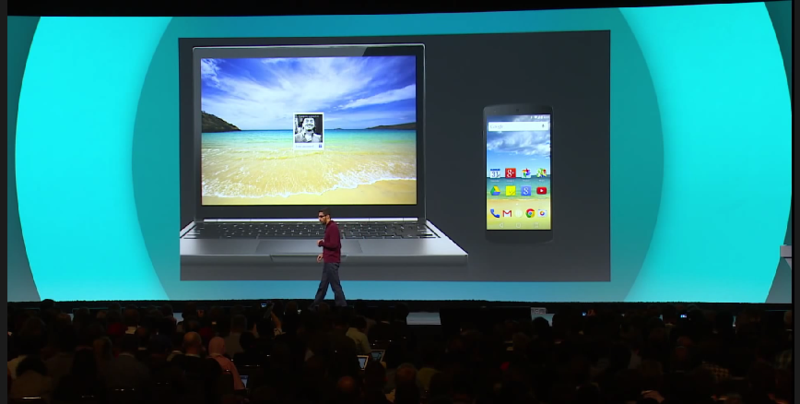 Sundar Pichai also explained that with Android's L release, users could unlock their Chromebook simply by being near it with their phone, another possible feature explained by Nearby's multi-sensory functionality. Users will also be able to use compatible Android apps on their Chromebook to pick up where they left off. Of course, these are just a couple of the applications we speculated about in the post, but more are undoubtedly coming. While Nearby probably won't be revealed until the final L release, its potential is absolutely huge. Quantum Paper, according to our original coverage, is a sweeping design overhaul across all of Google that will see new guidelines, specs, and resources released to developers for the web, Android, and iOS. As we now know, the public name for this philosophy became "material design." Google has expanded Polymer and published full, comprehensive guidelines for material design, but the reason this entry is still only listed as "partially live" is because I don't believe the full scope of the project has been released yet. Certainly, there is still a lot of work to do in adding new material elements to Android's support library, and GoogleKit, the design resources meant for iOS developers, has not been mentioned yet. The spec itself is actually still not complete. As mentioned earlier, launcher icon guidelines are notably absent (pending Google's own app updates) but if I had to guess, I'd say we will hear even more this fall. That said, Google is already taking major steps. The design spec at Google.com/design provides tons of resources and sticker sheets, and with tools like Palette, it is clear Google is taking the steps we predicted to make things easier for developers in the design department. As a fun side note, the new design elements are still referred to as "quantum" inside Google's own APK files. Elements like cards are "quantum cards," etc. Following up on a report from Forbes, we published a story about information we'd received independently related to Google Play Fitness, Google's new effort to quantify fitness data and provide meaningful information to users. This entry is also "Partially Live," since Google did announce Google Fit as a general platform for apps and devices to plug into, but there is no Google-made companion app just yet, as we predicted in our original post. Essentially, that's the only piece missing, if in fact Google decides to release an app. While no mention of a Google app has been made publicly, we do feel confident that one is or was being developed based on our information. For now, we'll have to wait and see, but the meat of the rumor is now official. 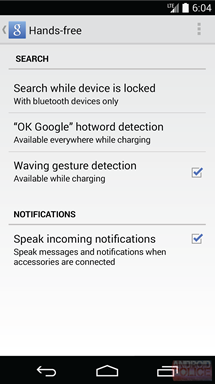 One of our more recent rumors related to native help interfaces inside Google's own apps. Currently, the "help" button directs users to a website, but our information suggested that - with a new version of Play Services - apps would begin getting a more native help interface in which content was provided through a native interface without leaving the current app. 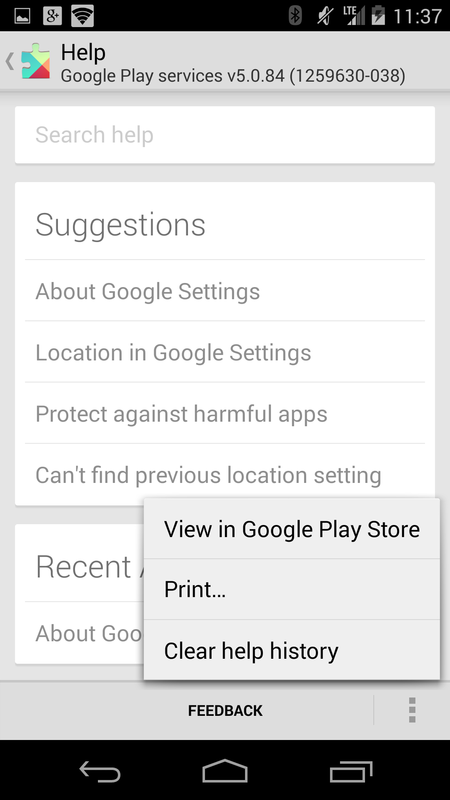 With the recent update to Google Play Services 5.0.X, this has come to light - at least in Google Settings. When other apps will get the same treatment remains to be seen, but consider this entry solved. 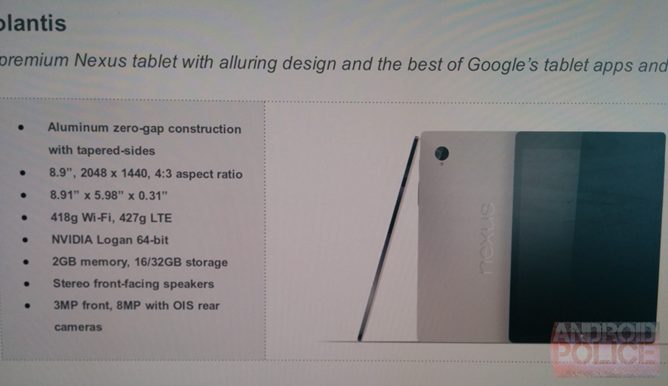 Information available to us suggests that HTC is working on a Nexus tablet. Specifically, the manufacturer is working on a tablet with an 8.9" display and 4:3 aspect ratio, with HTC's signature front-facing speakers, an aluminum body, and serious specs to back it up. When we originally covered this, the only source images we could provide were images of a spec sheet with a very early placeholder render, which I redrew for clarity's sake. It's obvious that the render does not represent the final device, but we are confident that the device is coming. 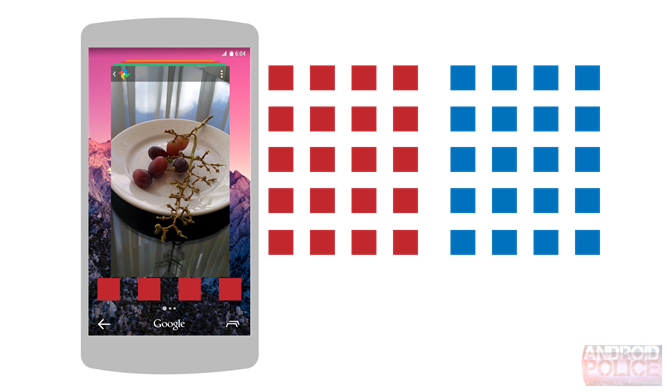 During Google I/O, Google made it a point to share images of interfaces in a range of device shells, with one shell having a 4:3 aspect ratio. The images scattered around Google's new design spec even include front facing speakers. Of course this is no more representative of a real device than our own recreation (note the crazy border on the Nexus 5), but it is at least some small acknowledgement that the device is planned. As explained in the original post, the Volantis hardware apparently already exists and is in use by some Googlers, but with a launch date set for Q4 2014, it may be some time before we hear any more about the device. One of the last rumors before I/O was another one related to Google Play Services. This time, our information indicated that Play Games would be getting new functionality, primarily in the form of in-game quests (with their own notifications), level-up notifications, and Snapshots, a feature that we didn't have much info on, but which we speculated was related to saving games to the cloud. Quests are a new set of APIs to run time-based goals for players, and reward them without needing to update the game. To do this, you can send game activity data to the Quests service whenever a player successfully wins a level, kills an alien, or saves a rare black sheep, for example. This tells Quests what’s going on in the game, and you can use that game activity to create new Quests. By running Quests on a regular basis, you can create an unlimited number of new player experiences to drive re-engagement and retention. Saved games lets you store a player's game progress to the cloud for use across many screen, using a new saved game snapshot API. Along with game progress, you can store a cover image, description and time-played. Players never play level 1 again when they have their progress stored with Google, and they can see where they left off when you attach a cover image and description. Adding cover images and descriptions provides additional context on the player’s progress and helps drive re-engagement through the Play Games app. Okay, so this entry is actually only live in the L developer preview, and isn't quite finished yet. Just before Google I/O, we dropped our last pre-I/O rumor - a redesigned Quick Settings pane for the new version of Android. 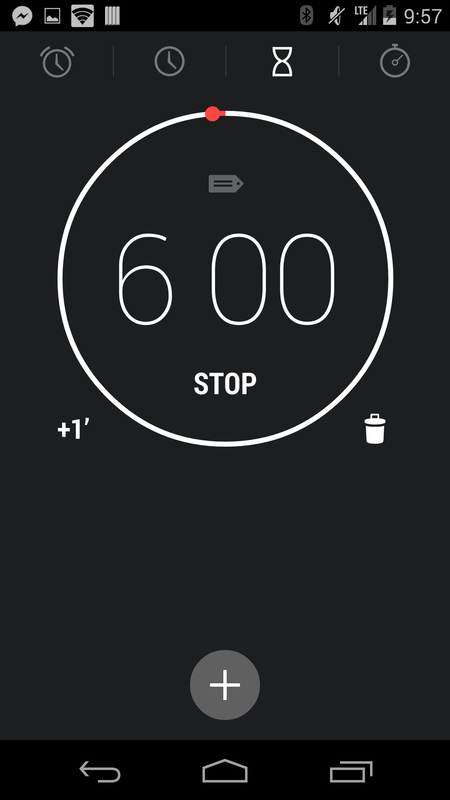 The basics were simple - expandable, actionable card notifications, and a second swipe (or a tap) revealing a brand new settings pane complete with more advanced toggles, a round profile image, and notification visibility. What we got in the L developer preview is mostly the same as our rumor - a cool gray color scheme (though inverted in the preview), centered tiles, and a new option for muting notifications on a device (plus a rotation toggle for phones - yay). What hasn't materialized yet are the richer, more advanced toggles that would allow users to manipulate things like WiFi networks and see information about data usage on the fly without being teleported into the Settings app. That said, it is quite likely that these features won't come until the final L release - after all the developer preview is just a preview, not the finished product. At this update, fifteen of twenty rumors/leaks are either partially live, fully live, or confirmed. Of the remaining five, two are still unclear (home screen overhaul and Android Silver), two have been hinted at (Volantis and Nearby), and one is still pending but almost certainly hitting some time in the near future (contact-based reminders). With leak and rumor posts, we've tried to take a very cautious and meticulous approach. Speculation is used sparingly where appropriate, and we've tried to temper our excitement by examining just how confident we are in each batch of information. But more than that, it's important to be transparent with rumors. If and when we decide to share more information that may come our way, we'll take the same approach, and keep a close eye on whether the things we discuss actually materialize, and what discrepancies may exist.